Parents and children of 100 Chervon employees attended the second annual Chervon Group Open Day on August 19 at the Chervon Research Center in Nanjing. 300 people attended the event, which was designed to help the family members better understand Chervon and the work that their loved ones are doing there. Activities included visits to the R&D center and the Deshuo and Xingnengyuan Industrial parks, as well as meals in the staff cafeteria. A new activity, jointly developed by Compassion Relief Tzu Chi Foundation and Chervon Group, is called Sharing Wise Saying. This activity focuses on the relationships between parents and children and encourages participants to push past inhibitions and publicly show their love for their parents. 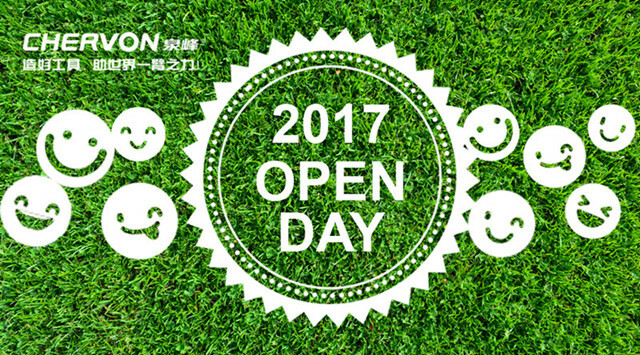 Open Days will continue to welcome more and more families.